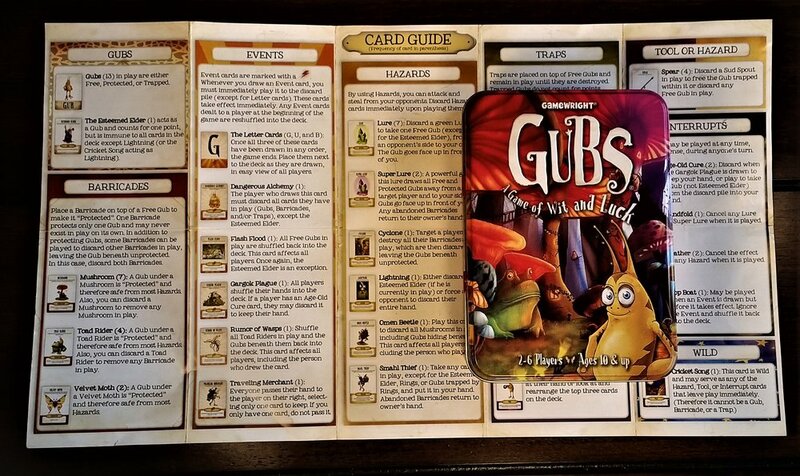 Free the Gubs: A farcical game your family will love. If your family plays games and you aren’t familiar with the Gamewright company, you aren’t playing the right games. This company produces many quirky, quick, fun-filled games you will love. GUBS is a great example of what they offer. 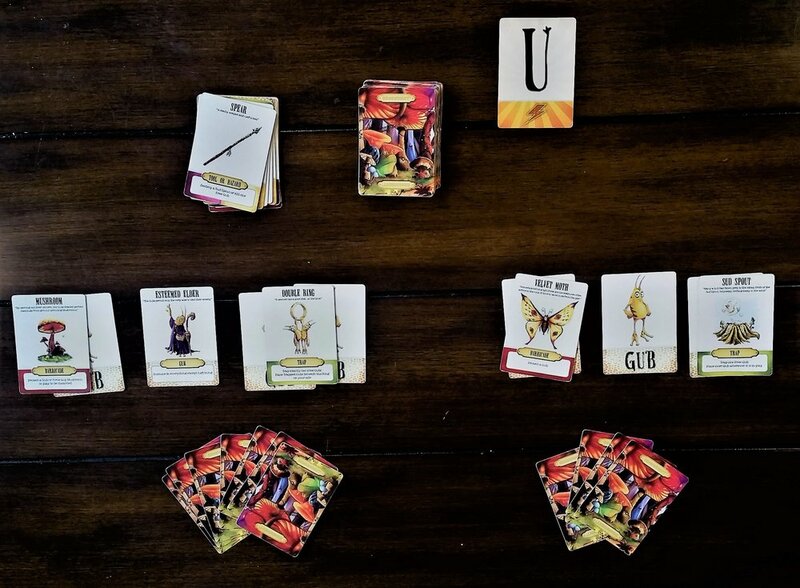 It is whimsical, provides many strategic options for a player, and leaves just enough randomness to turn any round on its head. This is a game where you want to have the most collected GUB cards at the games’ end. Exactly when the round ends is one of the random elements. You can steal gubs, lure gubs, trap gubs, and destroy gubs. There are also ways to look at other cards, trade cards, and remove your opponent’s cards. Each attack type has an interrupt that defends against it, if you have the right card and play it at the right time. Players who love strategy will think about their play, time their moves based on when the game may end, and prepare offensive or defensive tactics based on how they think the game is progressing. New players will find that the learning curve is easy to handle and there is enough chance involved that you are never more than a couple cards away from reversing your fortune. The cards are colorful and the game is very well-balanced and comes with a great instruction sheet which is easily referenced and gives clear, precise answers. With a recommended age of 10 and up, this is a great game for family game night. Even if you have an all adult group, you’ll find plenty to enjoy when dealing out a few round of GUBS. Add your email on the right for the latest on books! Feel free to share on Facebook, Twitter, Pinterest, and Instagram.